Before you read this post I'm just going to tell you straight-up that I failed this project... miserably. A couple of months ago my cousin sent me some pictures of a chocolate ice cream bowl made from dipping balloons in chocolate. 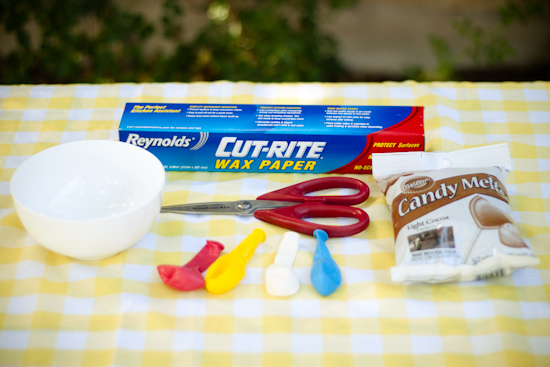 I was so excited to try them out and create an awesome step-by-step tutorial to post. I went through all the right steps (or what I thought were the right steps) but for some reason my balloons stuck to the chocolate bowls and were almost impossible to remove. 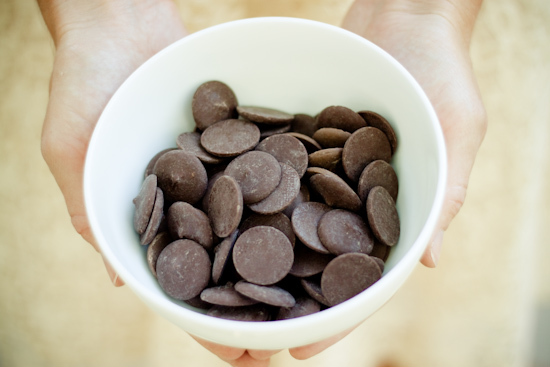 (the chocolate bowl to the left still has little balloon pieces stuck to the bottom of the bowl, which you can't see). After that happened I thought maybe if I grease up the balloon before I dip it, it won't stick so badly...but this made the balloon too slippery, the chocolate just fell right off when I tried to dip it. 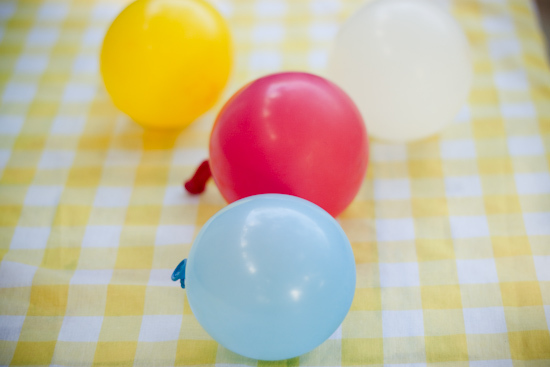 Then, I thought maybe my balloons are too big & thick...so I bought the water balloon size but they were so thin they would pop every time I tried to work with them! If someone out there has ever tried this technique before please tell me what I did wrong...so I can give it one more try! You are SO creative!! Love the moving action shot!! So cool!! I actually thought I had too much coffee when I first saw that but nope the picture is moving lol! Just re-posted this to my blog. I've heard of this idea but was happy to have the reminder this morning. Maybe buttering the balloons just a little? I'll give it a go and let you know if it works :) Love your blog! I'm glad you are trying this!! 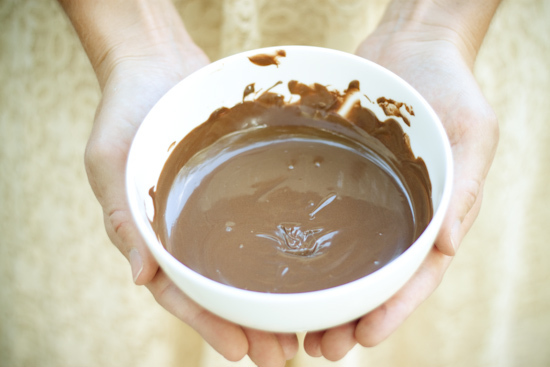 ummmmm maybe add oil to your chocolate so it is a little more runny?? hhmmm... not sure if that would help...I love the look of the chocolate bowls! ...or maybe putting them in the freezer to cool off...this helps with chocolate molds??? This is such a cute idea! I'm with theolivetree - I bet it would help a lot to put them in the freezer or refrigerator for maybe 10 minutes. The other thing I thought of is maybe adding paraffin wax to the melted chocolate, which is what you do to make buckeyes (peanut butter balls dipped in chocolate). 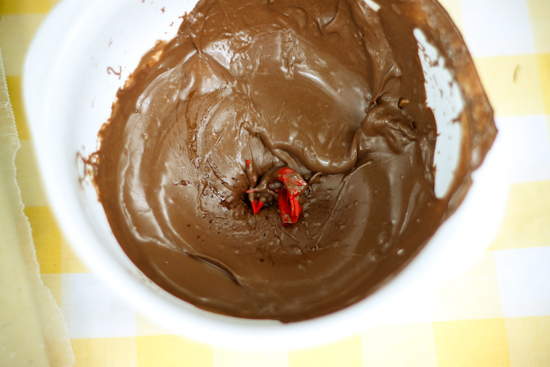 I think it helps both with the texture (it makes the chocolate shiny and smooth instead of dull) and it also helps the chocolate to harden and stick. 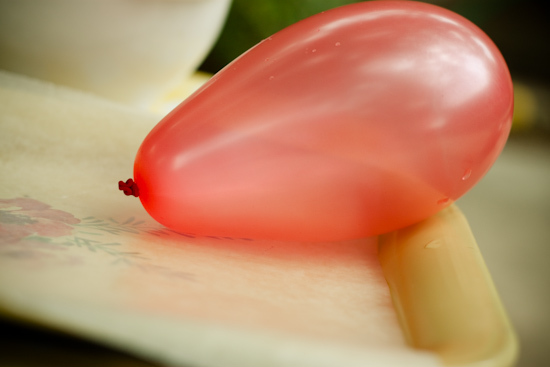 Maybe if you tried "greasing" them up again but used the wax it would allow both the chocolate to not fall off of the balloon and to come out easier when it sets?? Thanks for the comments everyone! sounds like if I would have put the chocolate bowls in the freezer for a little bit things might have worked out! better luck next time I guess! 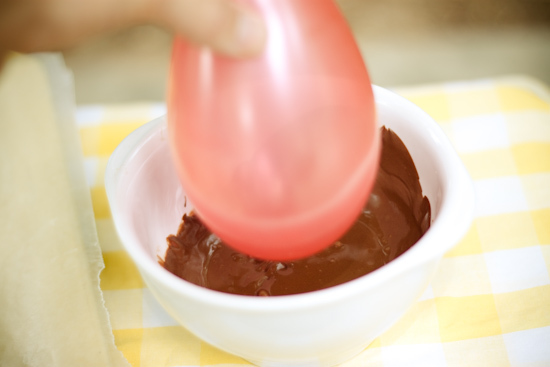 use a normal sized balloon, dip in the chocolate, then place on a pan with wax paper to cool/harden (this will also add a flat bottom) then pop the balloon, and pick out the pieces.